Congratulations to Dylan, our 2018 Art Camp Scholarship Winner! Dylan’s essay won him a spot at UWGB’s summer Art Camp where he’s considering working in graffiti art. 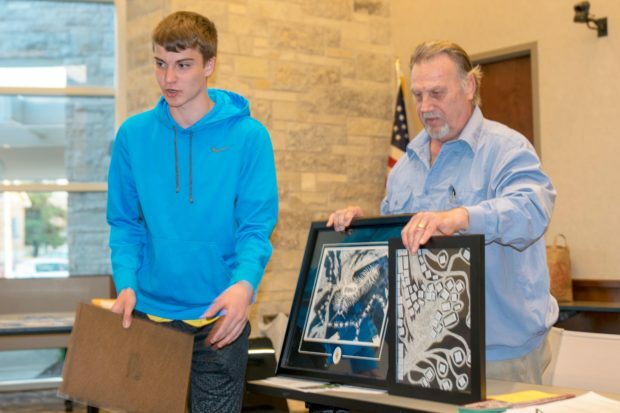 Dylan accepted the award at our April membership meeting and showed us a sampling of his impressive portfolio. Dylan is a sophomore at Menomonee Falls High School. His piece, “Red Scratch,” was honored with a Silver Key at the 2018 National Scholastic Art Awards and is currently on display in New York.